> Minimum 3 years of work experience in Manual Testing concepts. > Should be strong in Database Testing. > Experience in BFSI Domain like Equities, Trading, Asset Management, Capital Markets, derivatives etc would be added advantage. > Should be strong in client-server, smart client. > Basic awareness of any scripting. 29th November , 1.00-2.00 Pm. > Walk in for Manual Testing profile, if interested please walk-in for an interview on 26th to 29th Nov. ’18 if you meet the eligibility criteria. OptionMatrix InfoTech looking for Quality Analyst with 3-6 years of experience.Hand on experience in Manual Testing and Automation testing along with good knowledge on Testing Methodologies.Immediate joinees or 15 days notice period is preferred. We are looking for a Quality Assurance (QA) engineer for the product development team under oracle SCM. Oracle Transportation Management (OTM – previously called GLOG) part of the Oracle Fusion Supply Chain Management Product Group, is the Industry leading Transportation Management Suite comprising of the products -Transportation Sourcing, Planning, Execution, Freight Payment, Business Process Automation, Collaboration, Fleet Management, Transportation Intelligence & Global Trade Management. With Gartner having rated OTM as the Market Leaders in the TMS space year after year, we in OTM development specialize in the development of the Best-Of-Breed, technologically advanced & Industry leading TMS Suite in close collaboration with our Industry partners & Customers. > The candidate should have good experience in estimation techniques for Test development and execution [Manual + Automation]. > Design, Development and Execution of Test Cases in HP-ALM. > Must have extensive experience in Smoke testing, Functional testing, Regression testing and localization testing. > Automated Test Script creation and Execution with features available in UFT effectively as per the Framework implemented. An opportunity to be engaged in full product life cycle, from inception to final product. Hands on lab work to test, verify, and validate that products meet customer requirements and needs. Use your creativity to develop testing concepts for a leading industry. > First level Applications Development professional, representing the most common entry point into the organization. Performs routine activities related to applications development. Focuses on learning and acquiring work skills/knowledge in the Applications Development field. > Contributes to the automation effort. Company Name : NEXTGEN PROPERTY ADVISER PRIVATE LIMITED. > Business Requirements understanding and adaptability creating test cases and scenarios for Testing are must. > Exp in doing test estimation, planning & designing. > Exp with different testing types like Functional, Regression, Integration, Smoke, Database etc. > Experience in Mobile App Automation using Appium / other automation tools like Espresso etc. > This position includes interacting with various application development and QA teams to execute against clear performance requirements. > Consultant resource will work on a team and apply proven analytical and problem-solving skills to help design, build, execute, and validate systems/software application automation using Selenium, UFT and open source tools. > Consultant resource shall have the ability to do drive automated data validation routines using Microsoft SQL Server and Hadoop Cloudera. > Any open source tool is fine. > Performance Testing tools: Jmeter/ Load runner. > Help with expanding the current test cases to ensure complete test coverage of the System. To read all the documents and understand what needs to be tested. Based on the information procured in the above step decide how it is to be tested. 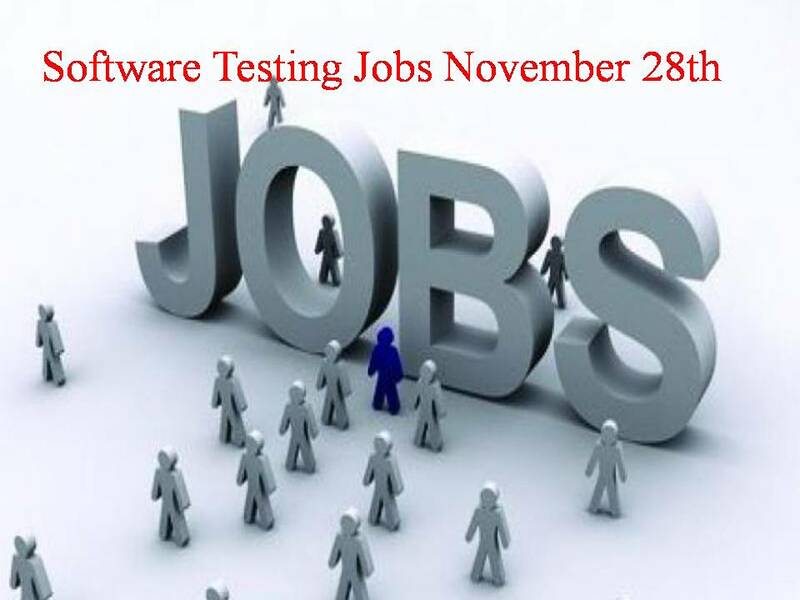 Inform the test lead about what all resources will be required for software testing. Company Name : BEQI SOFT TECHNOLOGIES PVT.LTD. > Experience in Fantasy/gaming domain is required. > Knowledge of US sports like American football, Basketball, Ice-Hockey, Baseball is added advantage. > Writing test cases based on business requirements. Client Info: Founded in 1993 and listed on the Swiss Stock Exchange, Our client is the market leading provider of banking software systems to retail, corporate, universal, private, Islamic, microfinance and community banks, wealth managers, and financial institutions. Headquartered in Geneva and with more than 55 offices worldwide, software is proven in over 1,600 customer deployments in more than 150 countries across the world. Company Name : ANCHANTO SERVICES PVT. LTD.
> Maintain proper records of the design and implementation in the technical specification document built specific for manual and automation environment. > Intelligent Test Case writing skills functional and non-functional requirements. > Requirements analysis and decomposition. > Test scenarios and strategy documents. > Test management tool knowledge (Requirements, Test Case Writing, Traceability, Defects).